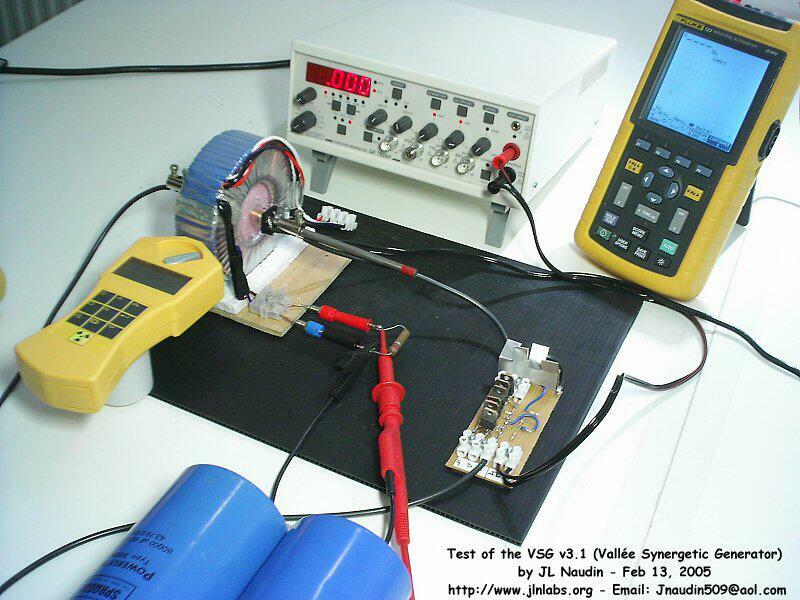 This new version of the VSG uses a bigger torus transformer as a Current Transformer (CT). It has a bigger turn ratio (1143:1) and will able to handle more current flow in the carbon. The inner diameter is also bigger than the previous v2.0, this will allow to use bigger carbon rods and use various size of coils. 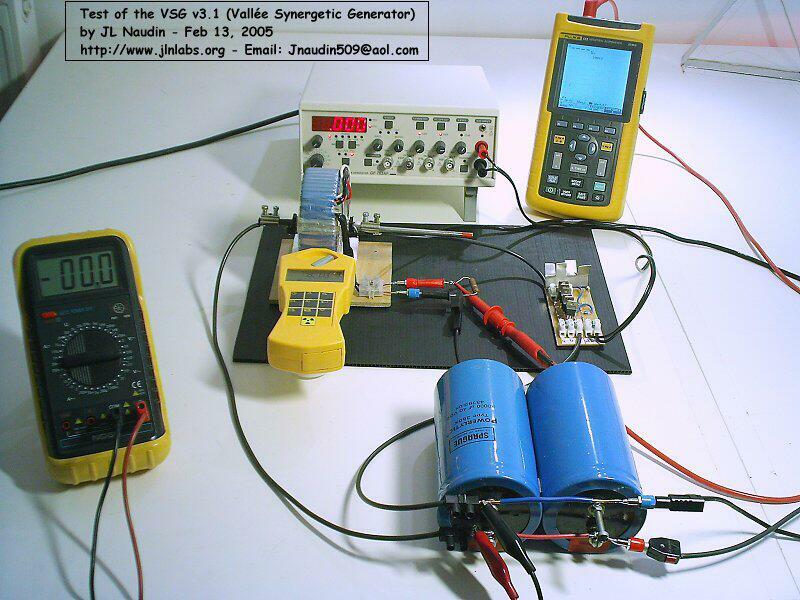 This new version of VSG seems to give a good energy efficiency, may be that this is due a stronger E-Field (1214 V/m) and a stronger B-Field (48 gauss) than in the previous design v2.0. 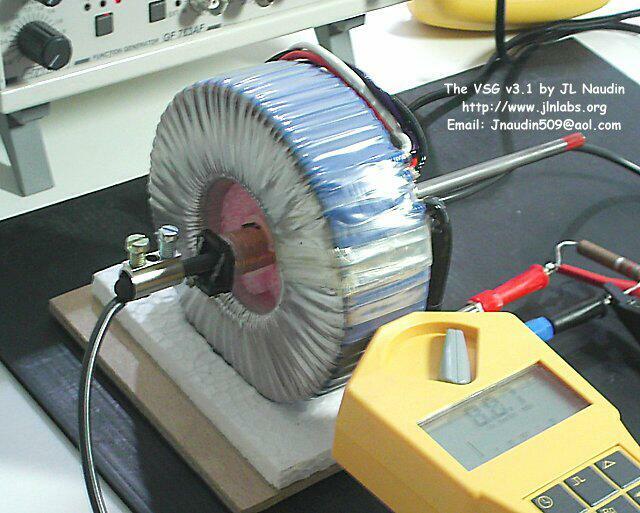 I shall soon try with a bigger carbon rod and a bigger solenoid coil to get more nuclear interactions in the reactor.